Old software may be retrieved from the Logitech Tech Support FTP server, but one should always try Logitech's web site first. c.1996 3 No Opto-mechanical RF ? c.1997 3 No Opto-mechanical RF ? 2006 7 Free Spinning (toggled by software - various methods available) IR Laser 800 2.4 GHz LY11, L-LL11 A Bluetooth (rather than RF) version of this mouse was bundled with the MX5500 keyboard starting in 2008. Replaced by Performance Mouse MX in 2009. 2007 8 Touch strip Laser 800 2.4 GHz Rechargeable Has built in gyroscope. Allows control of cursor by waving the mouse through the air. 2009 7 Free Spinning (toggled by mechanical switch) Darkfield Laser 1000 Unifying 2×AA Batteries last 2–4 months. 2011 3 Yes Optical ? RF ? 2016 3 Yes Optical 1000 RF 1×AA Basically the same thing as the M220 Silent. ^ The device has no physical scroll wheel, but two buttons are used for scrolling. 2005 8 Yes Optical A3080/A3080E 400-1600 Wired N/A No Replaced by G400 in 2011. 2005 6 Yes IR Laser S6006 ?-2000 Wired N/A No Replaced by G300 in 2011. 2005 (2007 for black/blue edition) 8/9(SE) Yes IR Laser S6006 400-2000 Wired N/A Eight 1.7g weights and eight 4.5g weights that could be inserted in groups of eight in a chosen arrangement to alter the balance of the mouse Replaced by G500 in 2009. 2005 8 Yes IR Laser S6006 400-2000 2.4 GHz Li-Ion No Batteries were swappable and charged in a base station that also acted as an anchor for the receiver. 2013 11 Yes Optical AM010 250-2500 2.4 GHz 2×AA (Can function with just one) No Features long battery life and two power modes: Performance and Endurance, with 250 hours of battery life and 1100 hours of battery life respectively. 2016 6 Yes IR Optical PMW3366 200-12000 2.4 GHz / may also connect via USB cable Rechargeable Li-Po (750 mAh) battery Single 10g weight inserted at the rear of the mouse Fully customizable RGB lighting. Features same wireless technology as the G900. 2017 6 Yes IR Optical Mercury 200-8000 (6000 at launch) Wired N/A No Fully customizable RGB lighting. Part of new "Prodigy" line intended for new PC gamers, with all "Prodigy" products costing $69.99 USD, except this mouse, which costs $39.99. Uses a new sensor, exact model and details are withheld, only known as the "Mercury" sensor. Not based on the PWM3366 sensor from PixArt. 2017 11 Free Spinning (Mechanical switch toggled) IR Optical PMW3366 200-12000 2.4 GHz / may also connect via USB cable / capable of use with the Powerplay wireless charging system Rechargeable Li-Po (750 mAh) battery Single 10g weight inserted at the rear of the mouse, not usable when paired with PowerPlay Fully customizable RGB lighting. Revision of the G900, capable of interfacing with the PowerPlay charging mouse pad, which acts as a wireless receiver and inductive charger. 2017 6 Yes IR Optical PMW3366 200-12000 2.4 GHz / may also connect via USB cable / capable of use with the Powerplay wireless charging system Rechargeable Li-Po (750 mAh) battery Single 10g weight inserted at the rear of the mouse, not usable when paired with PowerPlay Fully customizable RGB lighting. Revision of the G403 Wireless, capable of interfacing with the PowerPlay charging mouse pad, which acts as a wireless receiver and inductive charger. 2017 6 Yes IR Optical Hero 200-12000 2.4 GHz / Bluetooth / can connect up to two devices, one per method 2xAA (Can use 1xAA to reduce weight), up to 500 hours rated life in high response time mode (continuous gaming), 18 months in low response time mode No A version of the G403/G703 that uses the Hero sensor, featuring low and high performance modes in which, respectively, one is optimized for long life and does so by reducing response time to 8ms, and the other is optimized for gaming performance and uses a 1ms response time at the cost of battery life. New "Hero" sensor is a completely new sensor developed by Logitech. The sensor is optimized for precision and power efficiency. The mouse has no customizable lighting to increase battery life. ^ The measured or manufacturer supplied ball diameters are given without parentheses. The unit converted ball diameters are given inside parentheses. ^ Resolution is the base Hardware resolution and not the software resolution achieved through an Acceleration Profile or Ballistics. ^ If multiple connectors are listed, the device is auto-sensing and the 1st connector is the native one while the other connectors need only a passive adapter to be used. ^ a b c d e f g h i j k Opto-mechanical sensing of the ball's movement uses optical encoders connected to rollers, that touch the ball. ^ a b c d e f g h i j k The Marble Optical Technology uses 1 or 2 red LEDs to shine on a dotted surface and an optical sensor to see the movements of the dots much like the photoreceptor cells of an eye do. It does not work on clear glass or mirrors. The applied Marble optical tech in a TrackMan has a guaranteed minimum resolution of 200 DPI and a maximum resolution of 300 DPI. ^ a b The ball diameter of the TrackMan [Marble] Fx measures exactly 2 inches, which rounds to 51 mm. On Logitech's Japanese website the ball diameter is (was) listed as 50 mm. ^ The Wireless Trackball M570 has a resolution of 540 DPI according to its Logitech Product page, but a resolution of 400 DPI according to its Logitech Support page. ^ a b c d e f g The device has no physical scroll wheel, but one (or two) of the axis can be mapped to act as a scroll wheel. ^ a b The device has 5 QuickTip buttons. QuickTips are software detected taps of the puck; not true buttons. 2005 Membrane rubber dome Wired N/A Yes 18x3 54 Blue G15 without LCD display. 2005 Membrane rubber dome Wired N/A Yes 18×3 54 Blue Features a folding blue backlit 160×43 pixel monochrome LCD-display, "game mode" switch (which disables the "Windows" keys), and a 2-port USB 1.1 hub. 2007 Membrane rubber dome Wired N/A Yes 6×3 18 Orange Features an orange backlit 160×43 pixel monochrome LCD-display, "game mode" switch (which disables the "Windows" keys), and a 2-port USB 1.1 hub. 2009 Membrane rubber dome Wired N/A Yes 12×3 36 RGB Has a 320×240 pixel color screen with 8 navigation buttons. Logitech's first RGB backlight. 2013 Membrane rubber dome Wired N/A Yes 12×3 36 RGB Updated G19 with hydrophobic coating. Membrane rubber dome Wired N/A No 6×3 18 Green Has Call of Duty: Modern Warfare 3 branding and green backlighting. 2009 Membrane rubber dome Wired N/A Yes 12×3 36 Red/Blue Successor of G11. Mix red and blue backlighting LEDs in varying intensities. 2010 Membrane rubber dome Wired N/A Yes 18×3 54 RGB Has a 160×43 pixel monochrome backlit screen with 5 navigation buttons. 2013 Membrane rubber dome Wired N/A Yes 18×3 54 RGB Updated G510 with hydrophobic coating. 2013 Cherry MX Brown (with preinstalled O rings) Wired N/A Yes 6×3 18 White Logitech's first mechanical key switch keyboard, featuring Cherry MX Brown switches with preinstalled O ring sound dampeners. 2013 Cherry MX Blue Wired N/A Yes 6×3 18 White An updated version of the G710+, now with Cherry MX Blue switch keys. 2014 Logitech Romer-G Wired N/A Yes 9×3 27 RGB per key Logitech's first proprietary mechanical key switch keyboard, with custom Omron "Romer-G" switch keys and individual RGB backlight color per key. 2015 Logitech Romer-G Wired N/A Controls are FN shortcuts assigned to F9-F12, Print Screen, Scroll Lock, and Pause keys 0×0 0 RGB per key Uses the "Romer-G" switches found in the G910. Features a tenkeyless design. 2016 Logitech Romer-G Wired N/A Yes 12x3 (F Keys can be assigned as macro keys.) 36 RGB per key Uses the "Romer-G" switches found in the G910 and the G410. Keeps a minimalistic design for pure performance. 2016 Cherry MX Brown, Red or Blue Wired N/A Yes 12x3 (F keys can be assigned as macro keys.) 36 White Uses the standard Cherry MX switches found in most of the mechanical keyboards. Keeps a minimalistic design for pure performance. 2016 Logitech Romer-G Wired N/A Yes 9×3 27 RGB per key Refresh of the G910 Orion Spark featuring the more conventional keycaps found on the G810 (rounded shape versus the faceted design found on the original G910) and a smaller, symmetrical wrist rest. Identical to the Orion Spark in all other ways. 2017 Logitech Romer-G Tactile Wired N/A Controls are FN shortcuts assigned to F9-F12, Print Screen, Scroll Lock, and Pause keys 12x3 (F Keys can be assigned as macro keys.) 36 Yes Aluminum top construction in "carbon" and "silver" flavors. Cheapest keyboard to use Romer-G switches yet. 2017 Logitech Romer-G Tactile Yes 2xAA, 18 months rated life Yes 6 6 No Among the first proper wireless mechanical keyboards, and the first one from a major, popular manufacturer. 2018 Logitech Romer-G tactile or linear Wired N/A Controls are FN shortcuts assigned to F9-F12, Print Screen, Scroll Lock, and Pause keys 12x3 (F Keys can be assigned as macro keys.) 36 RGB per key Introduces new Romer-G linear switches as an alternative to the tactile version. Comes with 12 included extra key-caps with alternative shaping. GameCube No ? N/A steering wheel, ? ? PC No ? N/A steering wheel, ? ? PS2 No ? N/A steering wheel, ? ? PC, PS2 No ? N/A steering wheel, ? ? 2007 2.1 5Wx2 + 15Wx1 No N/A Analog line-in Includes an iPod stand. 2007 2.1 3Wx2 + 9Wx1 No N/A USB USBx3 (Hub) The two side speakers can slide out to accommodate different laptop sizes. 2010 2.1 35Wx2 + 130Wx1 No N/A Analog line-in Controls for turning the speakers on/off, adjusting volume and bass are located on the right satellite speaker which also accommodates a headphone out and 3.5mm input jack. No N/A Analog line-in The Soundtouch™ wired remote control includes an on/off button, headphone jack, and a knob to adjust system volume, subwoofer volume, fader, and center. The Matrix Surround Sound feature creates surround sound from stereo sound content. The total peak power is 560 Watts and the frequency response ranges from 35 Hz to 20 kHz. 2007 No N/A USB Yes Yes Has volume, muting and preset equalizer buttons on the side of the earcup. 2007 No N/A USB Yes Yes Has volume and muting controls on the line. Has volume, microphone mute, mode select, play/pause, and track switch on right earcup. 2013 7.1 No N/A USB Yes Yes Has volume and muting controls on the line. 2009 7.1 No N/A USB Yes Yes Has volume, muting and user-programmable G-keys on the side of the earcup. 2011 7.1 Yes Rechargeable 600mAh Li-Ion USB Yes Yes Has volume, muting and user-programmable G-keys on the side of the earcup. 2015 7.1 No N/A USB and Analog Line in Yes Yes Has volume, muting, input switching and user-programmable G-keys on the back edge of the earcup. Full RGB lighting on edge of earcup and behind cover of earcup. 2015 7.1 Yes Rechargeable 1100mAh Li-Po USB Yes Yes Has volume, muting, input switching and user-programmable G-keys on the back edge of the earcup. Full RGB lighting on edge of earcup and behind cover of earcup. 2016 No N/A Analog Line in Yes Yes Has volume and muting controls on the line. 2017 7.1 Yes Rechargeable 1100mAh Li-Po USB Yes Yes Has volume, muting, and a single programmable function key on the back of the left earcup. Features DTS Headphone:X 7.1 Surround Sound. Recharges via USB. Logitech ScanMan (1989) -- Hand-held, binary gray-scale scanner; connector: ISA adapter card (PC). Logitech ScanMan 32—Hand-held, 32 gray-scale scanner; connector: ISA adapter card (PC), DB-25F (Mac). Logitech ScanMan II (1991) -- Portable, hand-held scanner; connector: DB-25F; M/N S-SMA2. Logitech ScanMan EasyTouch—Portable, hand-held, 256 gray-scale scanner, 400 DPI; connector: DB-25F; M/N 0055. Logitech ScanMan 256 (1992) -- Hand-held, 256 gray-scale scanner; connector: DB-25F; M/N 0058. Logitech ScanMan Color—Hand-held, color scanner, 400 DPI; connector: DB-25F; M/N 5102. Logitech ScanMan Color 2000 (1996) -- Hand-held, 24bit color scanner, 400x800 DPI (1600x1600 DPI interpolated); connector: DB-25F or DB-36F Centronics. Logitech ScanMan PowerPage—Full-page, sheet-fed scanner. Logitech ScanMan PageScan Color—Full-page, sheet-fed, 24bit color scanner, 400 DPI; connector: DB-25F; M/N F-MA4. Logitech io (2002) -- Personal Digital Pen, ballpoint pen that records the hand written text. Logitech io2 (2004) -- Digital Writing System, ballpoint pen that records the hand written text. Logitech Alto Connect (2007) -- X-shaped notebook Stand with four port USB hub built-in. Logitech Alto Express (2007) -- Clear plastic notebook stand. ^ Fast RF Cordless Technology (PDF). Logitech. 2002. Archived (PDF) from the original on 2011-09-19. Retrieved 2016-11-23. ^ Konrad, Rachel (26 September 2004). "New computer mice nibble at cutting edge". Santa Cruz Sentinel. Associated Press. Retrieved 2015-07-28. ^ "Performance Mouse MX - Rechargeable Wireless Mouse". Logitech. 2001-08-02. Retrieved 2013-11-20. ^ "What is the dpi on the Logitech M215? - Logitech M215". iFixit. Retrieved 2018-07-25. ^ "M100 Optical Mouse - Logitech". www.logitech.com. Retrieved 2016-08-29. ^ a b "What is Unifying?". Logitech. 2001-08-02. Retrieved 2013-11-20. ^ "MX Master Wireless Mouse". Logitech. 2015-03-24. ^ "MX Master 2S". Logitech. 2017-06-12. ^ "MX Anywhere 2S". Logitech. 2017-06-12. ^ "Support + Downloads: Gaming Mouse G500". Logitech. 2001-08-02. Retrieved 2013-11-20. ^ "MMO Gaming Mouse - G600". Logitech. 2001-08-02. Retrieved 2013-11-20. ^ "Laser Gaming Mouse - G500s - Logitech". Logitech. 2014. Retrieved 2014-03-19. ^ "Logitech G102 Prodigy". Overclock.net. Retrieved 2017-01-23. ^ "Logitech resurrects its classic MX518 gaming mouse". Engadget. Retrieved 2019-02-20. ^ "Logitech Revives Legendary MX518 Gaming Mouse With Modern Internals". HotHardware. 2019-02-19. Retrieved 2019-02-20. ^ リーヤ (2016). "TB Paranoia 2016: Logicool" [TB Paranoia 2016: Logitech] (in Japanese). Retrieved 2016-11-21. ^ "Ripster Table of DPI & Ball Sizes"
^ a b TrackMan Live! (PDF). Logitech. 1999. Archived from the original (PDF) on 2003-09-10. Retrieved 2016-11-22. ^ a b "Logitech Support: Trackman Live!". Logitech. Retrieved 2016-11-18. ^ Logitech Marble Optical Technology White Paper (PDF). Logitech. 2002-01-23. Archived from the original (PDF) on 2005-05-18. Retrieved 2016-11-23. ^ "Logitech Support: TrackMan Marble FX". Logitech. Retrieved 2016-11-18. ^ TrackMan Marble Wheel (PDF). Logitech. 1999. 622320-0100. Retrieved 2016-11-21. ^ "Logitech Support: Marble Mouse". Logitech. Retrieved 2016-11-18. ^ Cordless TrackMan FX (PDF). Logitech. 2000. Archived (PDF) from the original on 2005-04-26. Retrieved 2016-11-23. ^ "Logitech Support: Cordless Trackman FX". Logitech. Retrieved 2016-11-18. ^ "Logitech Support: Cordless Trackman Wheel". Logitech. Retrieved 2016-11-18. ^ TrackMan Wheel (PDF). Logitech. Archived from the original (PDF) on 2005-05-16. Retrieved 2016-11-23. ^ "Logitech Support: Trackman Wheel". Logitech. Retrieved 2016-11-18. ^ a b "Cordless Optical TrackMan®およびTrackMan®Wheelのプレスリリース" [Cordless Optical TrackMan and TrackMan Wheel] (Press release) (in Japanese). Tokyo, Japan: Logitech. 2002-07-25. Retrieved 2016-11-19. ^ a b c ロジクール、トラックボール製品ラインナップを刷新 [Revamped Logitech, trackball product lineup] (Press release) (in Japanese). Tokyo, Japan: Logitech. 2008-12-19. Retrieved 2016-11-19. ^ "Logitech Support: Trackman Marble". Logitech. Retrieved 2016-11-18. ^ "Logitech: Trackman Marble" (in Japanese). Logitech. Retrieved 2016-11-19. ^ "Logitech Support: Cordless Optical Trackman". Logitech. Retrieved 2016-11-18. ^ "Logitech: Wireless Trackball M570". Logitech. Retrieved 2016-11-18. ^ "Logitech Support: Wireless Trackball M570". Logitech. Retrieved 2016-11-18. ^ "Logitech: Wireless Trackball M570T" (in Japanese). Logitech. Retrieved 2016-11-19. ^ "Logitech MX ERGO Wireless Trackball". Logitech. Retrieved 2017-11-24. ^ "Logitech Support: MX ERGO Support". Logitech. Retrieved 2018-04-15. ^ Logitech Cordless Presenter (PDF). Logitech. Archived (PDF) from the original on 2005-05-13. Retrieved 2016-11-23. ^ "EU CE certification of Logitech R400" (PDF). ^ "Logitech R700 CE certificate Japan" (PDF). ^ "Logitech R800 CE certificate Japan 2013" (PDF). ^ "Logitech Spotlight CE certificate from 2017" (PDF). ^ VR Depot. "We are the manufacturer of LOGITECH TRACKERS under exclusive license with Logitech". Retrieved 2018-04-18. ^ "SpaceMice: Magellan / Spacemouse Classic"
^ "SpaceMice: Magellan Plus / Spacemouse Plus"
^ a b "SpaceMice: Cyberpuck / Puckman"
^ "SpaceMice: Magellan PlusXT / Spacemouse PlusXT"
^ NuLOOQ navigator: Tips and tricks (PDF). Logitech. 2006. Archived from the original (PDF) on 2008-11-20. Retrieved 2016-11-22. ^ WingMan Precision USB (PDF). Logitech. Archived from the original (PDF) on 2005-03-10. Retrieved 2016-11-23. ^ Logitech Thunderpad Controller for Xbox (PDF). Logitech. Archived from the original (PDF) on 2005-05-18. Retrieved 2016-11-23. ^ WingMan RumblePad (PDF). Logitech. Archived from the original (PDF) on 2005-08-28. Retrieved 2016-11-23. ^ WingMan Cordless RumblePad (PDF). Logitech. Archived from the original (PDF) on 2004-07-20. Retrieved 2016-11-23. ^ WingMan Action Pad (PDF). Logitech. Archived from the original (PDF) on 2004-07-07. Retrieved 2016-11-23. ^ Logitech Action Controller (PDF). Logitech. Archived (PDF) from the original on 2004-11-25. Retrieved 2016-11-22. ^ Logitech Extreme Action Controller (PDF). Logitech. Archived (PDF) from the original on 2005-05-14. Retrieved 2016-11-23. ^ Logitech NetPlay Controller (PDF). Logitech. Archived from the original (PDF) on 2005-08-18. Retrieved 2016-11-23. ^ "WingMan Force". Lulay's Joystick Review. ^ WingMan Extreme Digital 3D (PDF). Logitech. Archived from the original (PDF) on 2005-04-06. Retrieved 2016-11-23. ^ WingMan Force 3D (PDF). Logitech. Archived from the original (PDF) on 2004-11-25. Retrieved 2016-11-23. ^ WingMan Attack 2 (PDF). Logitech. Archived from the original (PDF) on 2005-03-28. Retrieved 2016-11-23. ^ Logitech Attack 3 Joystick (PDF). Logitech. Archived (PDF) from the original on 2015-12-23. Retrieved 2016-11-23. ^ "Wireless Combo MK270 - Logitech Support". support.logitech.com. Retrieved 2017-07-21. ^ "Wireless Combo MK320 - Logitech Support". support.logitech.com. Retrieved 2017-07-21. ^ "Wireless Keyboard & Mouse Combo MK330 - Logitech". 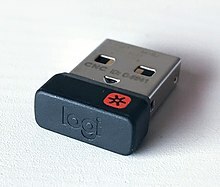 www.logitech.com. Retrieved 2017-07-21. ^ "Wireless Keyboard & Mouse Combo MK520 -Logitech". www.logitech.com. Retrieved 2017-07-21. ^ "Wireless Desktop Keyboard & Mouse Combo MK710 - Logitech". www.logitech.com. Retrieved 2017-07-29. ^ "Logitech MK850 Multi-Device Wireless Keyboard and Mouse Combo". www.logitech.com. Retrieved 2018-10-25. ^ "Wireless Performance Combo MX800 - Logitech Support". www.logitech.com. Retrieved 2018-10-25. ^ "Logitech MX900 Performance Wireless Keyboard and Mouse Combo". www.logitech.com. Retrieved 2018-10-25. ^ Logitech io2 Digital Writing System (PDF). Logitech. 2004. Archived from the original (PDF) on 2005-04-01. Retrieved 2016-11-22. This page was last edited on 7 April 2019, at 18:17 (UTC).